The role and significant contribution of LGBTQ literary critics and editors to the progress of the community over time should not be underestimated. Literary criticism denotes a range of approaches to textual scholarship and writing that analyzes, interprets and often contests the structures and relations of presentation and meaning. Literary criticism is the interpretation of a piece of work, formed on the basis of the reviewer's critical analysis, and which argues the value and merit of the work to its readers. With the increasing complexity and profile of sexual orientation's role in society, the important role of literature in communicating and reflecting the change has grown. Literary critics have aided this process by encouraging, interpreting and supporting the varied and complex means by which literature both conveys and assists these changes. Literary scholars have relied on their critics and editors when presenting the changing nature of sexual orientation over time. 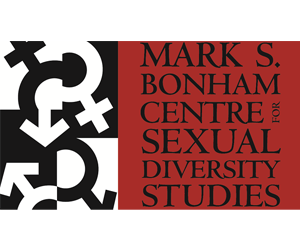 These critics also played key roles in advancing the integration and exposure of studies of sexuality in academic institutions, newspapers, television, radio and other mediums. Their role has extended to publishing groundbreaking research, and training other LGBTQ individuals interested in exploring LGBTQ culture, art, literature, history and politics. Literary criticism is closely aligned to theory. Many notable LGBTQ literary critics and editors are themselves accomplished novelists, poets, journalists, or observers. The goal of QueerBio.com is to be the definitive online biographical reference source for the international LGBTQ community. Its database lists over 15,000 contemporary and historical figures who identify as lesbian, gay, bisexual, transgender, queer, intersex, two-spirit, or gender fluid (LGBTQ) and includes artists, sports figures, politicians, entertainers, business leaders, academics, activists, and more. The database is widely international in scope and is an ideal source for research and analysis with full search and sort functionality. The mission is to inspire, educate, and motivate all generations of LGBTQ individuals and others through a collective knowledge of this international community. To search for an individual from the database of over 15,000 biographies, simply type the name in the Search Box located in the top right hand corner of this Home Page and click on GO. Similarly, you can search for a common characteristic such as Country, City, Nobel Prize winners, writers, and so on. Alternatively, you can view and scroll through the entire list of biographies by viewing the All Biographies section. Despite adversity and discrimination, LGBTQ individuals have excelled throughout history. Yet historians and academics have conveniently participated in the heterosexist erasure of these LGBTQ contributions by omitting the LGBTQ status of prominent historical figures from academic and historical documents. Accordingly, there are relatively few comprehensive projects which document and showcase the influence of these LGBTQ efforts. Being Different: 101 Global LGBTQ Individuals Who Changed The World will be an original documentary outlining the contributions that members of the LGBTQ community have made, individually and collectively, to changing the world. We are now Crowdfunding to get this project off the ground. We would love to have you as part of our team. You can help us and SUPPORT THIS PROJECT! Our goal is to make QueerBio.com the go-to website for global biographical information on LGBTQ identified individuals. To do this requires a serious commitment of people and resources, so we need your help to fund and help this project grow. Sign up to receive our informative bi-weekly newsletter. Included in the newsletter is the updated 'DID YOU KNOW?' column, a sample of new biographies added since the previous newsletter, and relevant news features pertaining to QueerBio.com. Annual Awards established in 2007 to recognize individuals or groups that have made a significant contribution to the advancement and education of human rights issues surrounding sexual education. Click here to find out more about the Bonham Centre Awards, past recipients, and present nominees. Notables: 101 Global LBGTQ People Who Changed the World (Mark S. Bonham, 2015) reveals a group of select global Lesbian, Gay, Bisexual, Transgender, and Queer (LGBTQ) individuals whose accomplishments in their profession changed the world in some relevant way. Included are founders of various social movements, innovators in sports, leaders in business and politics, explorers and discoverers, instigators in religious movements, thinkers in philosophy, infamous villains, creators of new academic fields of study, and risk takers in the arts, culture, and entertainment worlds. 212 pages. Champions: Biographies of Global LGBTQ Pioneers (Mark S. Bonham, 2014) reveals a group of select artists, writers, politicians, lawyers, sports figures, activists, and religious figures from around the world who have helped shape the history of the LGBTQ community. Presented in a convenient notebook format. 114 pages. This page was last modified on 22 April 2019, at 14:58. This page has been accessed 406,988 times.